Hoarding Task Force of Washtenaw County c/o Synod Community Services - What is hoarding? 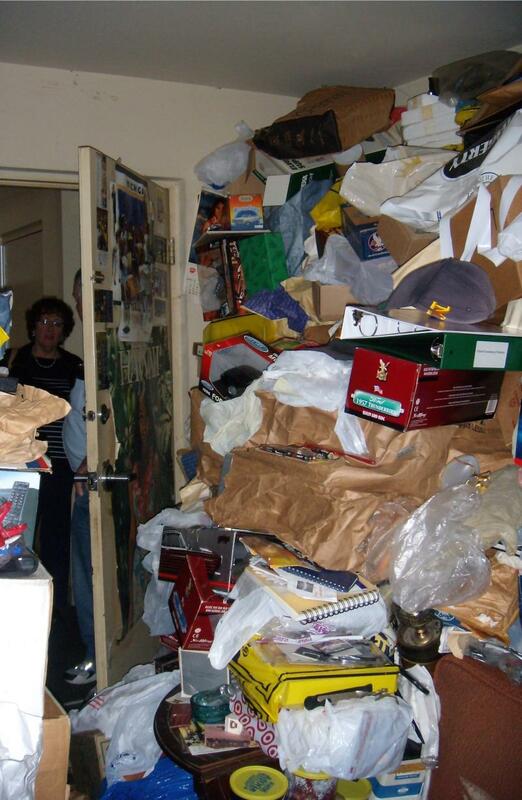 Hoarding is a debilitating psychological disorder characterized by the collection of a large volume of possessions. A person that hoards collects and keeps a lot of items, even things that appear to have little or no value to most people. These items clutter the living spaces and keep the person from using their rooms as they were intended. These items cause distress or problems in day-to-day activities. How do I have a conversation with my friend or family member who is ready to talk about hoarding?